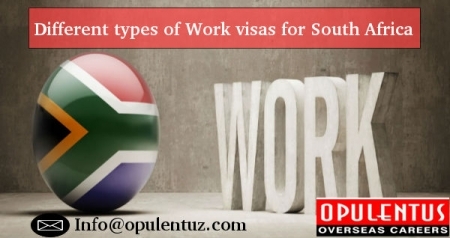 Rules for the South Africa General Work visa have been modernized. The applicants are now required to get a certificate from the Labor Department, mentioning that the salary and perks are on parity with salary and perks drawn by South African nationals. The processing for this visa has become more tiresome and the time to apply for this visa stands increased. The new rules require evaluation for qualifications from SAQA for each applicant. A Labor Department Certificate is also required. It needs to confirm that the employer could not find a local resident for the job. A proof of having conducted a proper search for a citizen/PR holder in South Africa has also to be given. These certificates take six months for issuing. The qualifications and salary of the applicant are judged. The compliance of employment contract with South African labour laws is verified. A feature of this visa is that the repatriation deposits are not required to be paid. These visas are used by Multi National Companies to transfer their personnel to various destinations. They are employed to hire expert skills for huge infrastructure projects and also to avail the services of low skills immigrant labour. Foreign immigrants possessing specific skills can enter South Africa without considering the job offer, through the Critical skills visa. A corporate visa permits a corporate entity to use the services of a pre-determined number of workers who may be skilled, semi-skilled or unskilled. There is no validity period fixed for them but it is determined by the corporate entity at the time of application. The previously used Exceptional Skills Work Permit as well as Quota Work Permit stand replaced with Work Visa issued for Critical Skills. It has similar documents requirements as those of a General work visa. Moreover, confirmation of the skills possessed by the applicant is required from a relevant professional body. Proof of applying for registration certificate with such a body also needs to be given. The repatriation fee is not required to be paid. The Critical Skills Work Visa is valid for five 5 years and is easily extendible. If a candidate aims to Study or Visit, Work or Invest in South Africa, we are here to offer the best guidance.